PRIME, baby. It’s not just for beef, Amazon and bank rates anymore, no, no, all that has been eclipsed by this head-spinningly good PRIME Napa Cab!! We can’t tell you how we scored this extraordinary deal, but there may have been martinis involved, just sayin’. OVER 50% OFF! Winemaker/proprietor Ted Henry’s impressive resume includes Trinchero, Jarvis and currently winemaker at the esteemed Clos Du Val --- this is a guy who knows how to make classy, structured, rich Cabernet, oh yes. We’re still pretty astounded to have snagged this deal…. Anyway, PRIME is his own side project, using selected vineyards he has worked closely with over the years, and it will hit all your Napa Cab buttons, yes indeed. We REALLY hope you are able to snag some of this…! This Cab is DARK, dood. The nose is all 2013’s manly personality with HUGE black currant fruit, spicebox, cardamom, licorice and mocha, and while it is definitely hedonistic, it maintains a nice line of freshening acidity that keeps it moving. LONG, lingering, spicy on the back end. Wow!! At this price??? C’mon!! While it lasts, of course! Good luck! 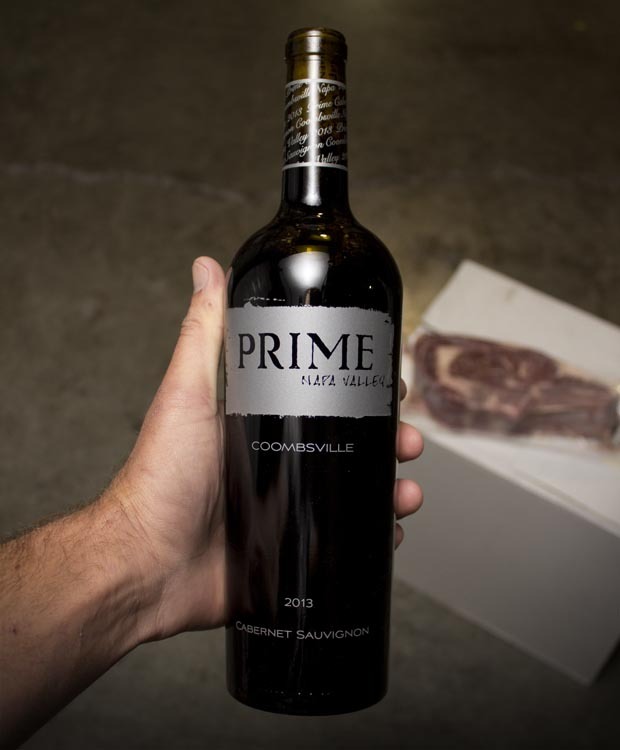 After working with grapes from all over California, PRIME's winemaker, Ted Henry, launched PRIME Cellars with the 2005 vintage to focus on a prime piece of Napa Valley called Coombsville. With its cooler temperatures and unique flavor and acid profile, Coombsville was approved as Napa Valley's newest AVA in 2012. Ted is the winemaker at Napa Valley's Clos du Val and has been making wine in Napa Valley since his graduation from UC Davis' winemaking program in 1999.